Leave on exit 390 to Gaineville NW 39th ave.
Head east on NW39th ave for about 10 miles to Waldo rd. Turn south for about 1 mile. After one stoplight, UF East Campus is on the right. Head on I-10 West for about 37 miles to US 301 South, taking exit 343. On US 301 head on FL-24W Waldo for 14 miles. UF East Campus is on the right. 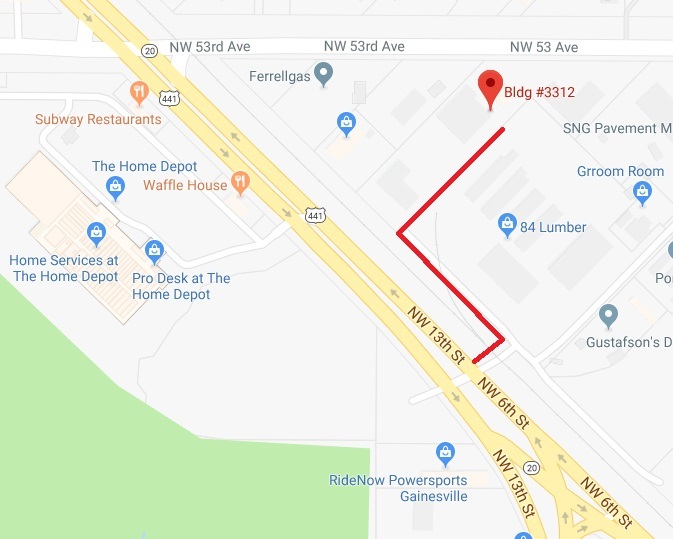 Turn right on SR 222/NW 39th Ave.
Head 0.5 miles to Waldo Rd stoplight; take a left heading south onto Waldo Rd. Head 1.5 miles south on Waldo Rd. Use the East Campus Parking PDF to find proper parking using the campus map. Parking outside of visitor parking without a UF parking decal will result in a ticket! 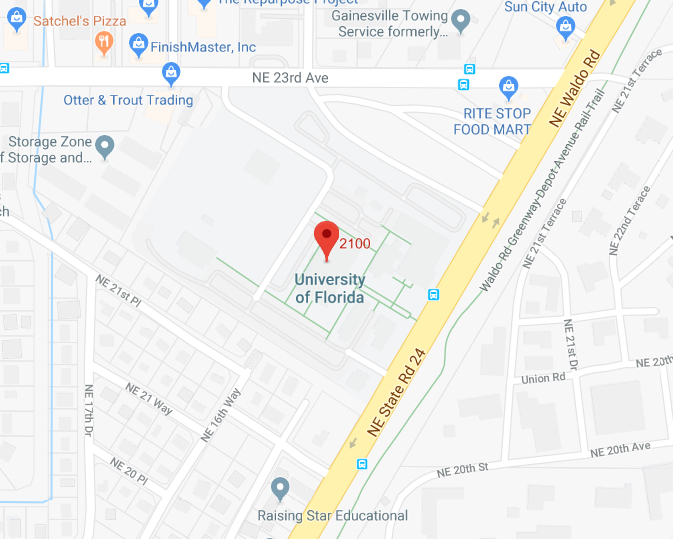 For UF employees; Do not part in the visitor parking area. If you have a UF decal, you will be ticketed! Visitor Parking area is for non-UF employee parking! Take the lobby elevators to the 2nd floor. Exit to the right of the elevator, and enter through the door with the University Press of Florida designation. The receptionist will greet you.